Photographing baby Ian was so much fun. 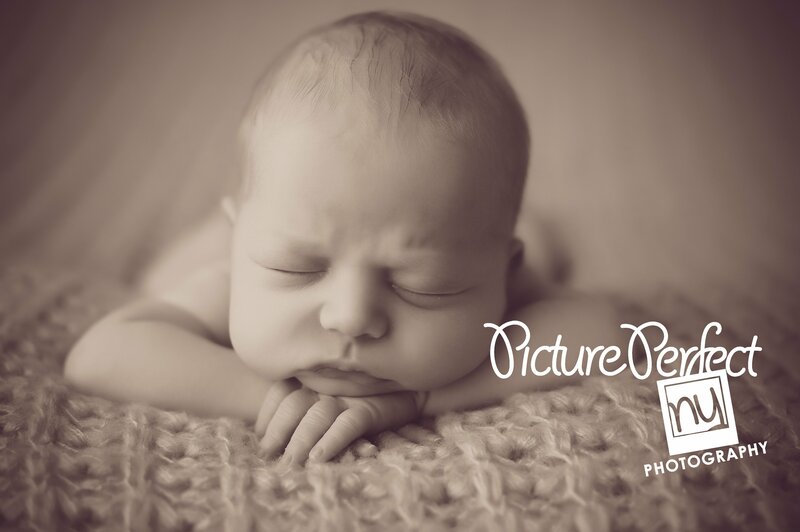 He practically slept his entire session and were able to capture some wonderful shots that his parents will cherish for years to come. The chef theme was done just for his daddy. It’s so great when we can incorporate a theme in the session that has meaning to the family. Doesn’t the first photograph put a smile on your face. This little boy made my heart melt. 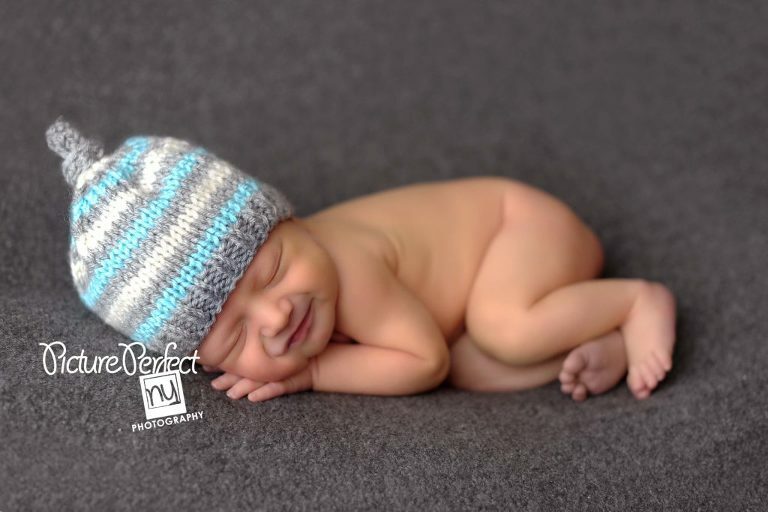 Its really great when we are able to freeze the moment when a baby smiles for us during the photography session! 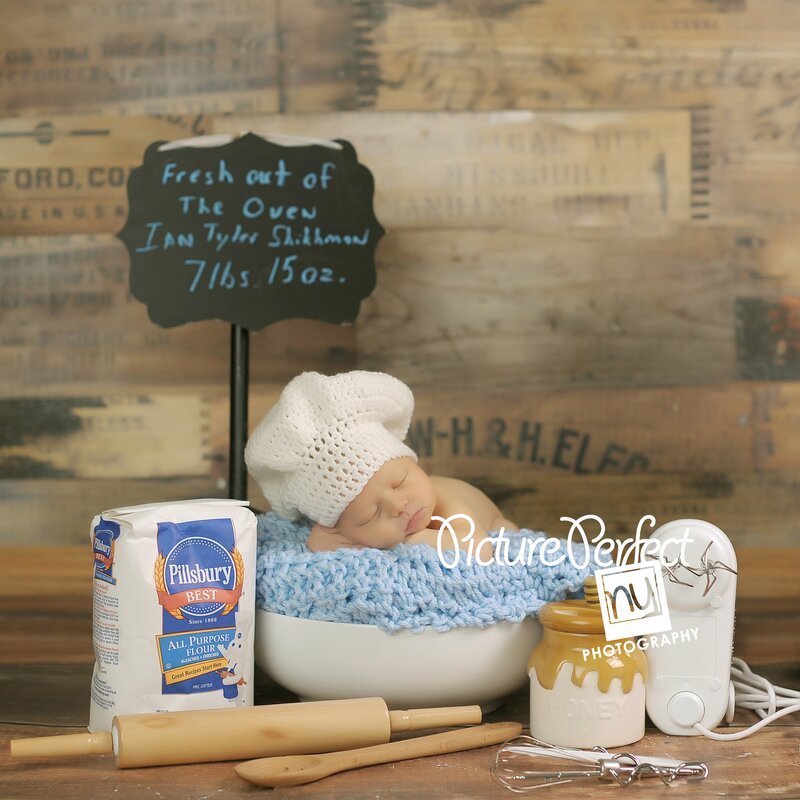 TIP for Parents: Photographing Newborn babies and achieving great poses are the best when a baby is between 7 days and 12 days of age. Baby is very sleepy and “mold-able”. However, next best time to photograph your baby is when they are 3.5 months old so we can capture their 3 month milestone: motor skills. Babies neck strength is improving so we do tummy time shots as well as capturing a smile.